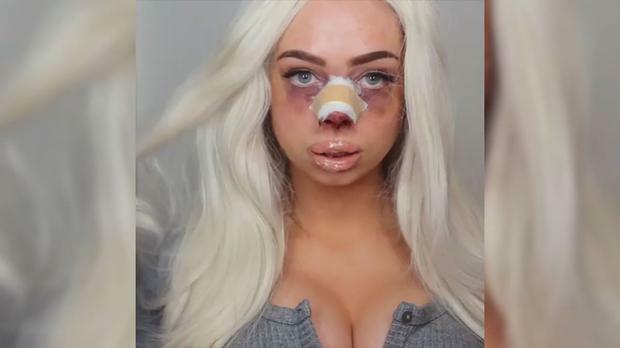 Karolina Maria, from Norway, posted a video to Instagram called "Am I pretty now?" The video shows Karolina (20) scrolling through Instagram and becoming increasingly unhappy with her appearance because of the posts she sees by celebrities. At first she changes her appearance by applying more makeup, yet that still isn't enough. By the end of the video she has completely changed her appearance and undergone plastic surgery, showing the extremes that women go to to look a certain way. "Don't you ever compare yourself to someone else and think you are less, because only YOU are you, and you are BEAUTIFUL just the way you are."